Photo courtesy of Macon-Bibb County. 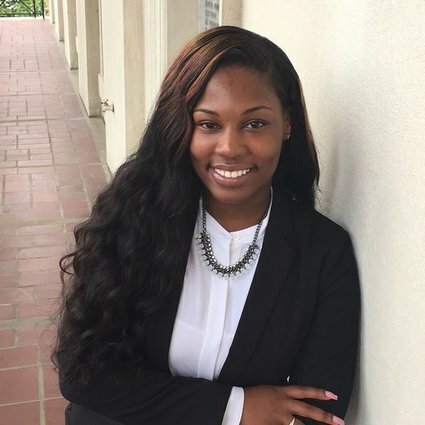 Quintesha Williams, a 2L student at Mercer University School of Law, interned with the Macon Bibb County Attorney’s Office as a law clerk during the summer. Prior to working for Macon-Bibb County, Williams had limited knowledge of county government. However, over the course of her internship, she learned that county government is a very complex organization that is operated by people with different backgrounds and perspectives. Williams was tasked with researching and applying relevant case law and statutes to memoranda and resolutions for the mayor and county commissioners. When asked about her most significant accomplishments, she claimed that being able to proactively complete all contract and memoranda were at the top of her list. This was no mean feat in that prior to her work with the county, Williams had never drafted a contract nor had instruction on contract drafting in law school. The internship provided her with the on-the-job training necessary to be able to draft contracts between the county and various accountability courts. It further gave Williams the opportunity to enhance her legal research and writing skills. In terms of her favorite part of the internship, Williams noted that it was being able to fulfill her dream of serving her community, through working hand and hand with the public and being able to address public concerns. Based upon her experience working with the county and the invaluable skills she gained, Williams is now considering a career in county government. Funding for the Macon-Bibb County Attorney’s Office internship was made possible through a grant provided by the Community Foundation of Central Georgia, Inc.